When the alarm goes off in the morning and you constantly hit the snooze button because you’re dreading the day ahead, do you wonder if something better is out there? Many people encounter this problem, but by the time they realize they have chosen the wrong career path, they feel that it’s too late. Or is it? If you don’t take the time to take control of your life now, you’ll forever be stuck in the same pattern until you reach retirement. What a miserable thought. But have hope! There are people out there to help! Specially trained career coaches can work with you to help you discover your strengths and weaknesses and ultimately, the field in which you should be working. Through the correct line of questioning, exercises and the use of assessments, a career coach can lead you to realize your full potential. A coach can help you learn about yourself and give you the proper tools to channel your energy into achieving a successful career in a field that you enjoy. Assessments – These range from DiSC profiles to the more in-depth eSimulator. These tools help you to understand your strengths and weaknesses. Assessments, coupled with a knowledgeable career coach, help you to achieve success in your field and also point out the areas that fit you best, an excellent tool if you are struggling with finding a career path that fits you. Career coaches – Coaches go through extensive training to learn how to work with people in all levels of a career path. They use these skills to coach you to reach your fullest potential and help you learn about yourself and how your “weaknesses” can be used to help you succeed. Career coaches also work with you to decide what field best fits you by conducting mock interviews, role playing, studying completed assessments, and extensive questioning. 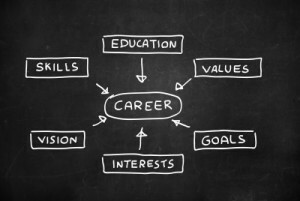 Make it a goal in 2013 to evaluate your career goals and career path. If you feel that you aren’t on the right path, find a coach that will help you make necessary changes.